Where do you possibly start when everything about Stan the Man has been said before? The greatest Cardinal needs no introduction with accomplishments that continue to rank in the top ten and even top five all-time. There were two I was unaware of before doing some research for this project as Musial owns more than just St. Louis records. When I started looking at his season total base numbers, I was shocked by the totals. Over his illustrious career, Musial routinely surpassed the 300 mark and knew the final tally had to rate amongst the best ever. Even without the home run numbers of some of his fellow Hall of Famers, the Man sits a comfortable second with a whopping 6,134 total bases. The other figure that probably shouldn’t have been as big a surprise was also the one that separated Musial from the rest of his contemporaries. While the home run may always be king, the #6 Birds on the Bat jersey stopped at second the third most times in baseball history. That list is as impressive as just about any stat I could find, and it just goes to show how complete a ball player Stan was on every level. I was fortunate enough to attend an Opening Day back in 2007 and have to admit that will always be one of my favorite highlights. 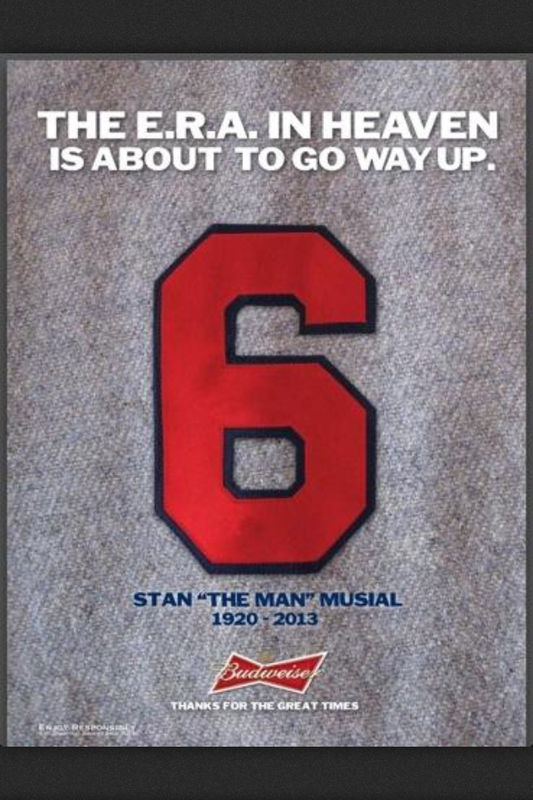 Musial was there with the same grin that carried him thru 22 of the very best seasons the sport has ever seen. We are just truly lucky to have had him as the perfect ambassador for all that is right about the game. I have a copy of the page below that reminds me to never take anything for granted and to always remember to smile. 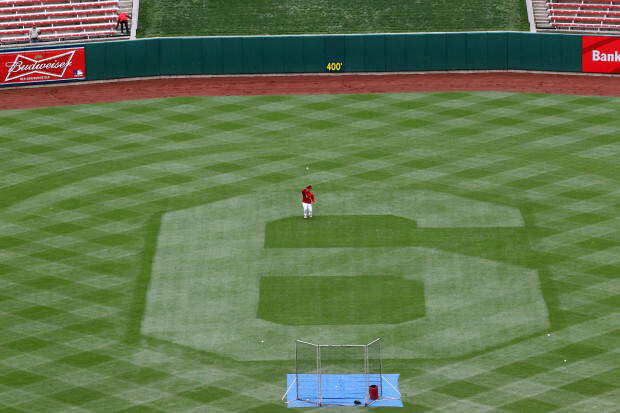 Musial will be missed, but his legacy can never be forgotten.